Excellent for Lessons on Structure and Bonding. Students will enjoy this overview of inorganic and organic chemistry as they build three-dimensional models. 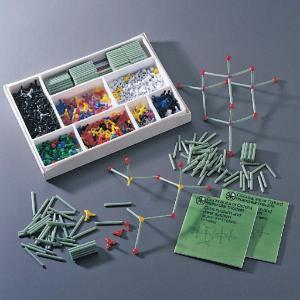 This model set contains plastic straw “bonds,” and a wide variety of more than 380 atom centers, plus a workbook covering organic molecules at a more advanced level. 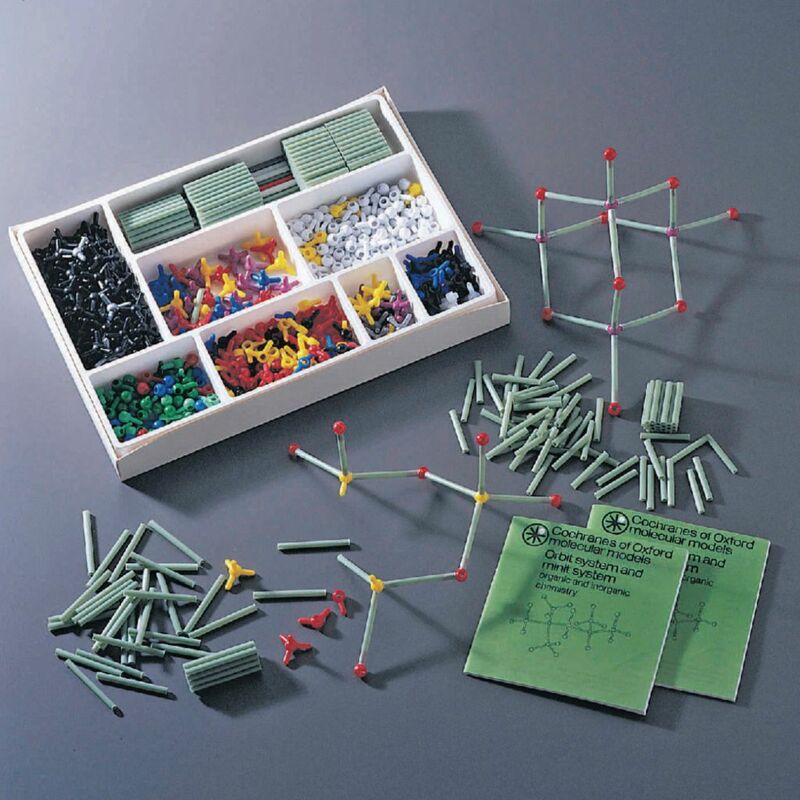 Topics including optical isomerism, multiple bonds, functional groups, ring structures, polymers, and complex ions will be easier for students to understand as they work with this colorful set. Caution: WARNING: Choking hazard. Small parts. Not for children under 3 years.